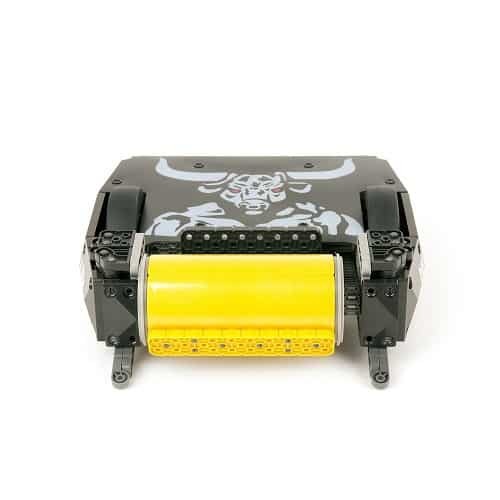 From HEXBUG comes a lineup of Battlebots. We checked out the HEXBUG Battlebots Minotaur. There are over 345 pieces of the Minotaur to put together. Some of these pieces are small so this product definitely presents a choking hazard for younger kids. Having said that, the Minotaur’s targeted audience is for kids ages 8 to 16. Kids in the upper range of the recommended age bracket will probably be able to follow the instructions and put the Minotaur together. Kids in the lower recommended age ranking will probably need an older sibling or parent to help them build the Minotaur. The nice thing is that the over 345 pieces that you need to put together to build the Minotaur snap together. Just make sure you have the right pieces before committing to snapping them together. It is always a pain when you realize it is the wrong piece and you need to get them apart. Once together the user pushes to activate Minotaur. 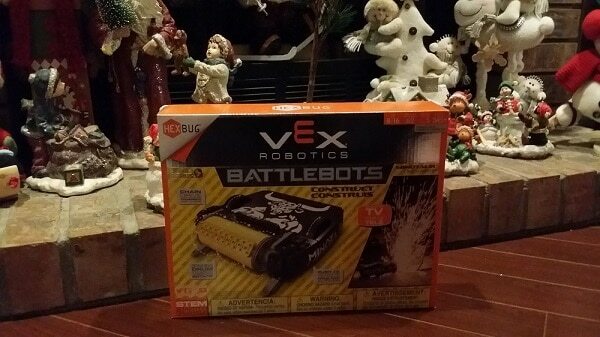 The HEXBUG Battlebots are created after Battlebots TV Show. You can watch Battlebots Season 1 and 2 on The Science Channel. The great thing about the HEXBUG Battlebots is that it gets kids following instructions and building. Building sets like these also are good as family projects so siblings can enjoy working together to build or a parent and child can have building time together. Once together, the Minotaur can take on anything your imagination allows. There is no need to have another Battlebots but you can get additional Battlebots separately if you want your Battlebot to take on another Battlebot. The Minotaur is a great size once put together. It is a realistic representation of the real Minotaur from the Battlebots TV series.